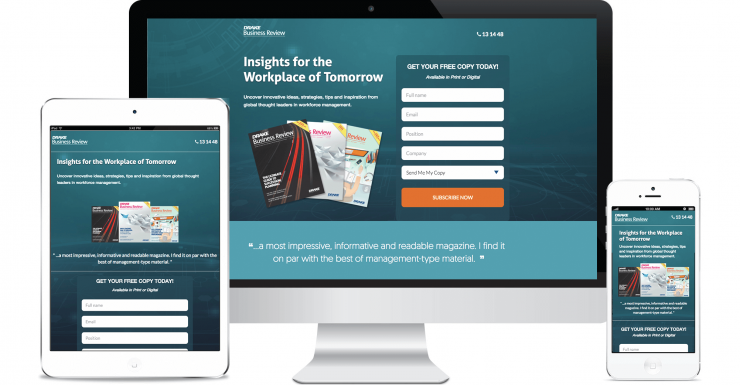 Drake Business Review is a bi-annual magazine by Drake International, providing business leaders with insights, tips, and solutions for workforce management. Our team at WDM were tasked with designing a landing page specifically for magazine subscriptions. Based on the client’s brief, we provided copywriting and responsive web design with the aim of engaging visitors and increasing conversions.